With dozens of Japanese bands trying to crack the West over the last 20 years, whoever would have guessed visual-kei would be the first genre to truly succeed? The decadent style of bands such as L’Arc-en-Ciel, Dir En Grey and D’espairsRay has impacted heavily in the U.S., Europe and even cynical Britain, allowing these acts to sell out large venues and release CDs in territories where J-pop stars such as Hikaru Utada have failed to make a dent. Musically, visual-kei favors fairly derivative heavy metal straight out of the 1980s, where the genre has its roots, with strings on top. But the keyword is “visual”: Rather than the metalhead’s preferred uniform of blue jeans, faded black T-shirts and greasy hair, these bands choose the opulent aristocratic fashion of 18th-century France. And where American and European metal bands opt for a macho image, visual-kei bands tend toward the androgyny associated with Goth. “The fashion is very important — equally as important as the music,” says Kamijo, the vocalist in visual-kei band Versailles who, like many others in the genre, goes by just one name. “Both in terms of our music and our image, we want to be as aesthetically extreme as possible. We don’t play wearing T-shirts and jeans because I don’t think it’s possible to show our concept of aesthetic beauty with them. But if we do come to find a sort of beauty in T-shirts and jeans one day, we might start wearing them on stage,” he adds with a giggle. Versailles are one of the key bands in the genre’s current generation. Formed over a six-month period during the turn of 2006 and 2007 of members from several older visual-kei bands (in Kamijo’s case, Lareine), they enjoyed international success from the start, signing to German label CLJ and releasing their 2007 debut EP “Lyrical Sympathy” simultaneously in Japan and Europe. Their early MySpace page was tooled up for Western fans, and the band were quick to give interviews to foreign media. Tours of Europe and the U.S. followed in 2008, putting the band in front of thousands of Western fans. Was this overseas activity a plan from the band’s very inception? 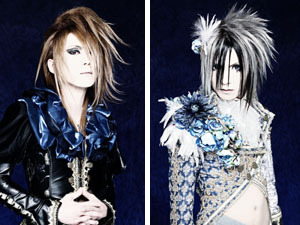 Versailles (known overseas as Versailles Philharmonic Quintet) are not the only visual-kei band playing huge shows in the West. In the early 1990s, a decade after their formation, pioneering visual-kei band X Japan attempted to find success abroad but failed, perhaps thwarted by grunge’s antimetal mentality that was prevailing in the U.S. and spreading to Europe. Yet in 2007, the band’s drummer Yoshiki teamed up with Kevin Lyman of Van’s Warped Tour to present J-Rock Revolution, a festival in Los Angeles that included bands such as D’espairsRay and girugamesh and sold out its 2,300 tickets. 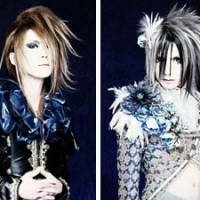 While this was not the first time visual-kei bands had found an appreciative audience abroad — D’espairsRay, for instance, had already reportedly played shows in eight countries by then — it was an obvious watershed moment. This wasn’t just an appearance at a niche anime expo, but a full live production that put the genre in the spotlight. Visual-kei was on the map. If you’re looking for comparative Western artists, you might consider theatrical acts such as Kiss, David Bowie, and shock-rocker Marilyn Manson. The latter will headline the first night at the inaugural V-Rock Festival alongside three other Western bands and 54 from Japan, as Chiba’s Makuhari Messe welcomes visual-kei’s weirdest and most wonderful. It’s the first time that a visual-kei event held in Japan has attracted a non-Japanese headliner, making for another milestone in the acceptance of this nonconformist genre. 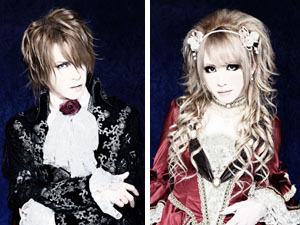 V-Rock Festival will be Versaille’s first public appearance since the sudden death of their bassist, Jasmine You, this summer. The band had been poised to release their as-yet-untitled second album on major label Warner and embark on a European tour when, on Aug. 9, it was announced that You had passed away after a period of illness. The cause of You’s death has not been made public, and the band have yet to announce whether they will continue as a four-piece or recruit a new bassist, though this may become clearer at V-Rock. Although Versailles canceled most of their live activity and postponed the release of their album till January 2010, Kamijo says they were convinced by the compassion of the organizers of V-Rock Festival to go ahead with their performance. It speaks volumes of the community spirit of the visual-kei genre. As a collective of outsiders, visual-kei has a strong identity and a progressive outlook, and fan support can be zealous both in Japan and abroad. This fervor has filtered through to the West: Footage of U.S. or European concerts by visual-kei bands on YouTube shows thousands of pale-faced youngsters in full make-up and dress, many of whom address the cameras in passable Japanese. V-Rock Festival has made efforts to accommodate overseas fans, offering a Web page in English and a ticket package that includes hotels and airport transfers for those flying in for the event; the bill includes such widely touring bands as Plastic Tree and The Gazette.